To start what might become a new series of posts, I thought it would be interesting to share some of the more unusual vehicles seen on the streets in northern California. San Francisco and Oakland/Berkeley in particular are home to all kinds of oddball older cars, and we’ll get this started with a van and a truck (what!). 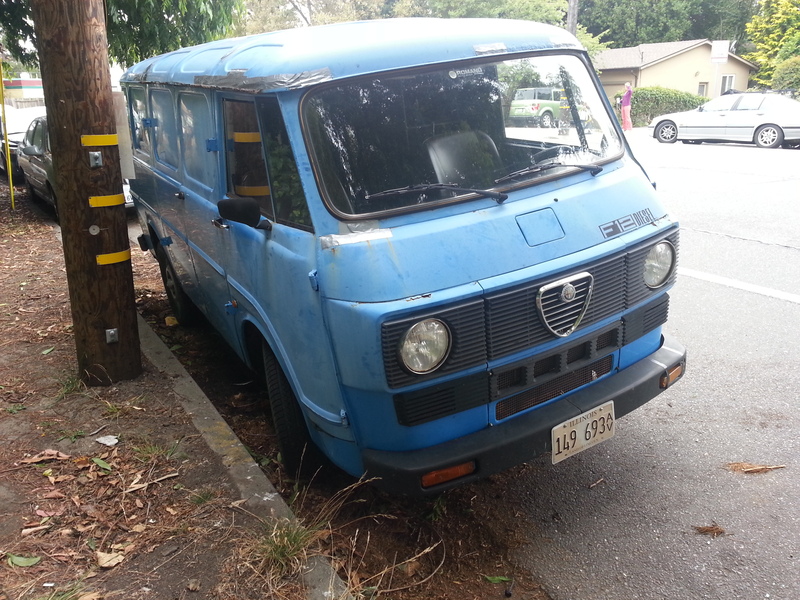 This 1979 Alfa Romeo F12 diesel van recently returned to California, under the influence of Andrew Watry, keeper of the Alfa Romeo Berlina Register. Powered by a 1.8 liter Perkins diesel with 50hp, it’s Alfa Romeo’s interpretation of the VW bus, with a three-spoke steering wheel, twin pod gauge cluster, and Alfa handling. Built from 1967-83, this one is a series two van with the black plastic grill and adhesive sticker badging. This is the first generation of Toyota’s everlasting Hilux pickup, the N10. It was sold in the US from 1969-72, and featured engines from 1.9 to 2.0 liters and 84 to 109 hp. It shares its design aesthetic with the contemporary Toyota Stout, and while it was supposed to be nicer than that truck, it’s hard to understand how “lux” snuck into the name of the truck, as it’s far from luxurious. Even Toyota engineers were not above showing their contempt for US safety regulations, choosing to tack on two foglight-looking things as turn indicators. They make the headlights on the federalized Fiat 500 look relatively elegant! The idea for this series was inspired by a Holden ute spotted recently, but which I didn’t catch on film. I’ll try not to let that happen again! 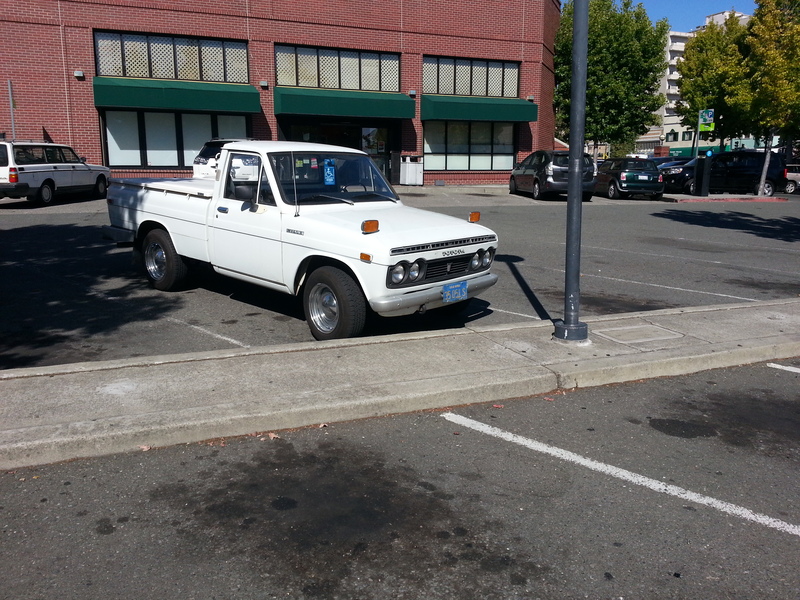 This entry was posted on August 15, 2013 at 5:08 pm and is filed under RustyButTrusty on the Street. You can follow any responses to this entry through the RSS 2.0 feed. You can leave a response, or trackback from your own site.